Big Day at Lake Greenwood, Saturday June 4th! Saturday, June 4, 2016, will be a big day on Lake Greenwood with a lakeside food event and free boat rides, followed by a free concert. Whether you want to try BBQ or burgers, ice cream or coffee, this Lakeside Food Vendors event takes place at Main Bridge from 11 a.m. to 3 p.m., sponsored by Connect Lake Greenwood. Connect Lake Greenwood, a nonprofit organization formed by several local chambers of commerce that focuses on improving life at Lake Greenwood. Free boat rides will be available from 11 a.m. to 2 p.m. to anyone who wants to learn more about Lake Greenwood. The main event, Music on the Lake, is a free concert that can be enjoyed from your boat, or from Lake Greenwood State Park for the price of a $2 park entry fee. Lasting from 3 p.m. to 5 p.m., this free concert is sponsored by Lake Greenwood Realtor© Kim Clark. 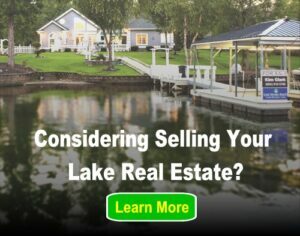 Clark is a local lake real estate expert and agent with Lake Homes Realty. Come support these events on Saturday and help show your support of the food industry on Lake Greenwood. Read more online at the Index-Journal.